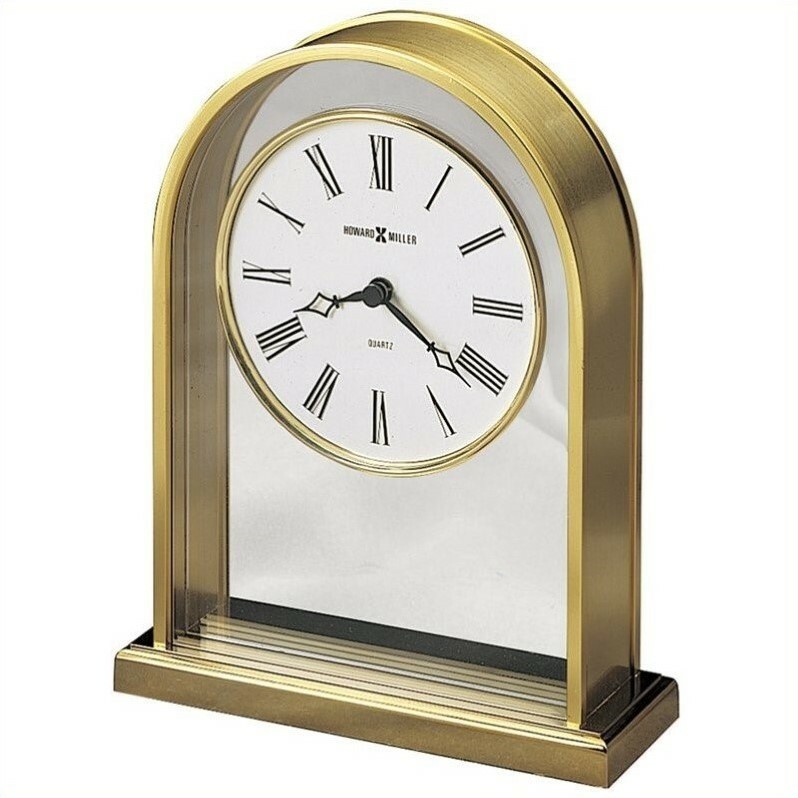 This contemporary table clock is blessed with a classic charm borne out of its brass framing and simple-stylish dial placement. This clocks cream dial is set within a clear acrylic crystal and features classic hour/minute arms and black Roman numerals. Battery operated quartz movement ensures consistent timekeeping and rounds out the appeal of the Tabletop Clock. Table clock features cream colored dial set within a clear acrylic crystal.